Local American creator Tommy Orange, of Oakland, has won the esteemed 2019 PEN/Hemingway grant for "recognized the first novel." The respect was declared Tuesday by PEN America, an undertaking of the Hemingway Society made after the demise of Ernest Hemingway. Orange, an individual from the Cheyenne and Arapaho clans, composed his presentation novel, "There," about cutting edge local Americans battling with loss of character in urban Oakland. Distributed by Knopf in 2018, the novel was evaluated by the New York Times as a standout amongst the best books of the year. 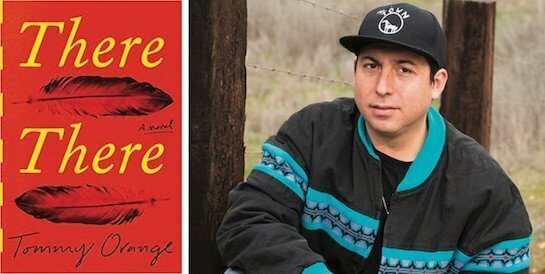 "In the wake of seeing an absence of tales about urban Native Americans, Orange did an exceptional work that investigates the individuals who have acquired a significant otherworldliness, yet who are additionally tormented by enslavement, misuse, and suicide," says a memoir on the Penguin Random House Speakers Bureau site. In a June 2018 Bay Area News Group survey of the book and meeting with Orange, Lisa Wrenn expressed: "His affection for Oakland and its kin is evident in his book's communicated of characters, which are presented in eponymously titled sections that read like independent stories. Like Orange himself, the characters are biracial, with names like Orvil Red Feather, Edwin Black, and Opal Viola Victoria Bear Shield. "Oakland itself fills in as a character, attracted such subtleties as the characters' devotion to the An's and Raiders, the whiff of cannabis smoke at the transport station and the blurred pink shine of the Tribune Tower, which 'appears as though it ought to be red, yet by one way or another lost steam en route.' "
As to book's title, she states: "Orange draws parallels between the character issues confronting Oakland and the Native Americans who are 'about undetectable' here. At the point when Dene applies for an expressions give, he's met by a smirky, fashionable person judge, Rob, who tells Dene: 'Nobody's truly from (Oakland), right?' Rob proceeds to parrot the oft-confused Gertrude Stein quote, 'there's no there.' "
The PEN/Hemingway accompanies a $25,000 grant from the Hemingway Family and the Hemingway Foundation. Orange likewise will get month-long residency cooperation at the Ucross Foundation, a Wyoming retreat for craftsmen and journalists. Séan Hemingway, the grandson of Ernest Hemingway, will give Orange the honor amid an April 7 function at the John F. Kennedy Presidential Library and Museum in Boston.